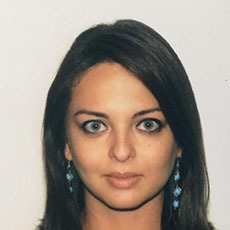 Elika Eftekhari is an attorney who serves as the Director of Trade Compliance & Government Relations for the United States-Iran Chamber of Commerce. Elika oversees trade compliance and due diligence services at the Chamber, as well as all internal compliance protocols, with a focus on maximizing compliance with and understanding of U.S. laws and regulations regarding trade with Iran. She uses her international trade, sanctions and Iran expertise to guide the Chamber on policy, legal and business matters relating to U.S.-Iran trade relations. She also manages the Chamber’s outreach to the business sector and government officials. Prior to this role, Elika worked from 2012 to 2016 as an international trade attorney in the Office of the Chief Counsel for Trade Enforcement and Compliance at the U.S. Department of Commerce. She represented the Commerce Department before domestic industries, foreign government representatives, and businesses, as well as provided legal counsel on trade cases before the Court of International Trade, U.S. Court of Appeals for the Federal Circuit, and the WTO. Prior to Commerce, Elika was a commercial litigator concentrating in insurance coverage matters with a law firm in New York. Elika holds a Juris Doctor and Master of Science in Foreign Service from Georgetown University, and a B.A. from Southern Methodist University.